This was always one of my dreams when I was a kid: to have an amazing bed that I could actually play on. If that was your dream, too, you’re in luck. 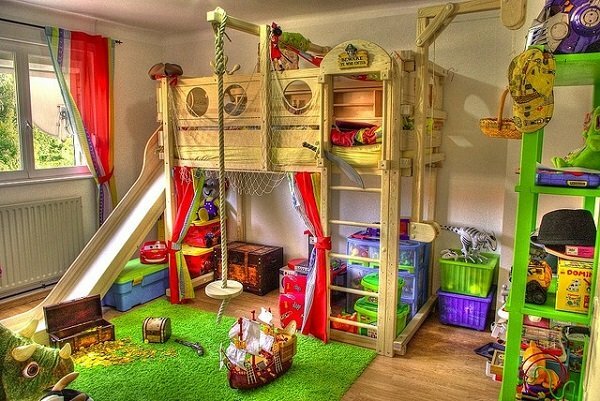 Check out this awesome loft beds for kids that can also double as jungle gyms. 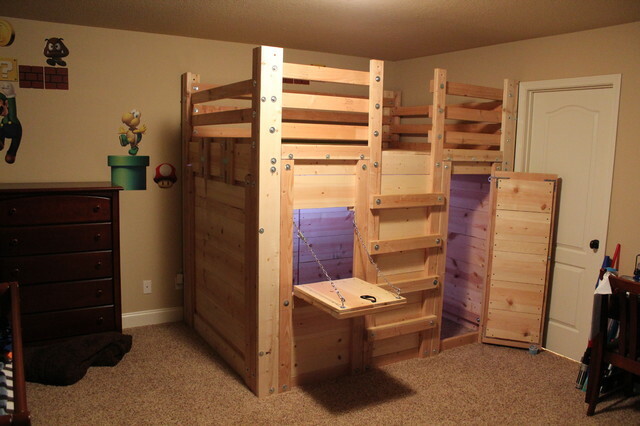 Any child who hates to be indoors on a rainy day would love this loft bed. From being able to run up and down the sides and having monkey bars, this bed is awesome. This loft bed has a rather odd stair case, but for good reason. The area underneath has a cushion and tons of pillows. It can be used as a reading area or as a fun place to play with friends. This loft bed is shaped like a cottage, and can be used as a play house on rainy days. When the child gets older, it can become a study area away from the rest of her room. 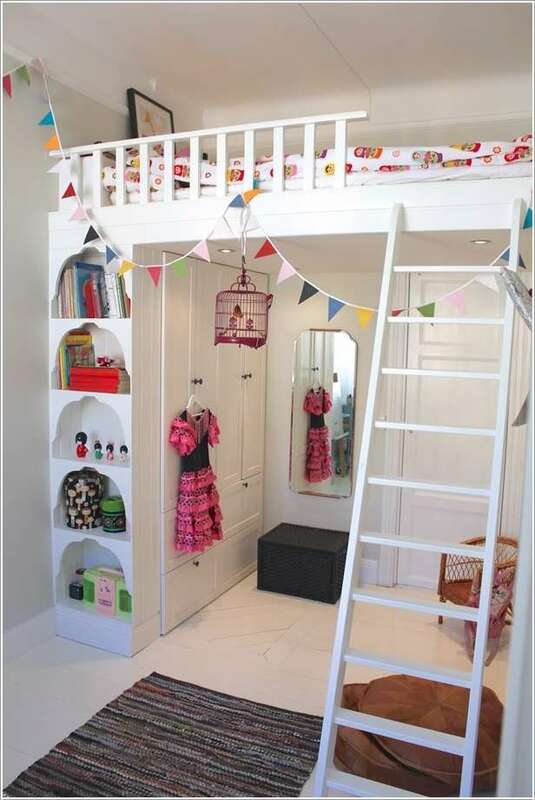 For the person who loves to play dress up, this loft bed is perfect. Store old Halloween costumes, dress up clothes, or other fun things in the closet under the bed, and store books, accessories, etc. on the shelves. This loft bed is high enough to have a chalkboard easel and a table underneath. 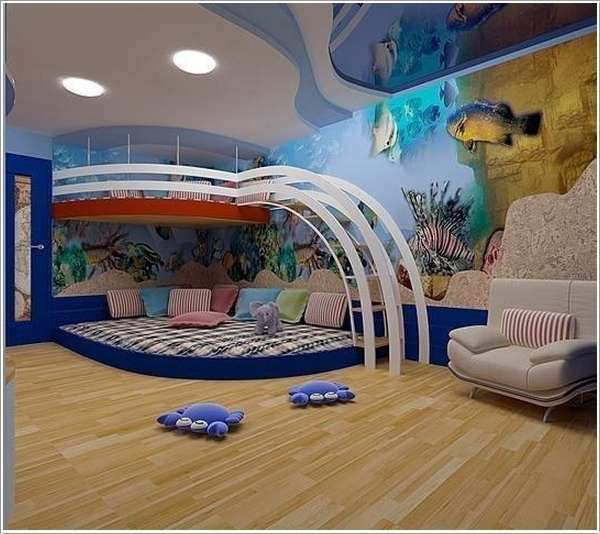 For any child looking to play school, this bed idea might be the right one. For any child who cries when it’s time to leave the ball pit, this is certainly the perfect loft bed for them. Filled with the same balls from that ball pit, this will provide hours of fun for any child. Any child who loves to play with games or read books, this kind of loft bed is their dream bed. With shelving underneath to store their games and favorite books, any child can now easily access their books. 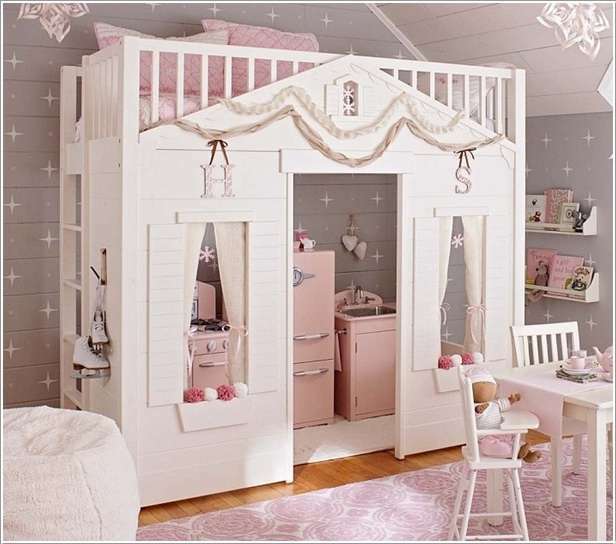 For any princess who wants to have a castle to play in and rule over, this is the loft bed for them. 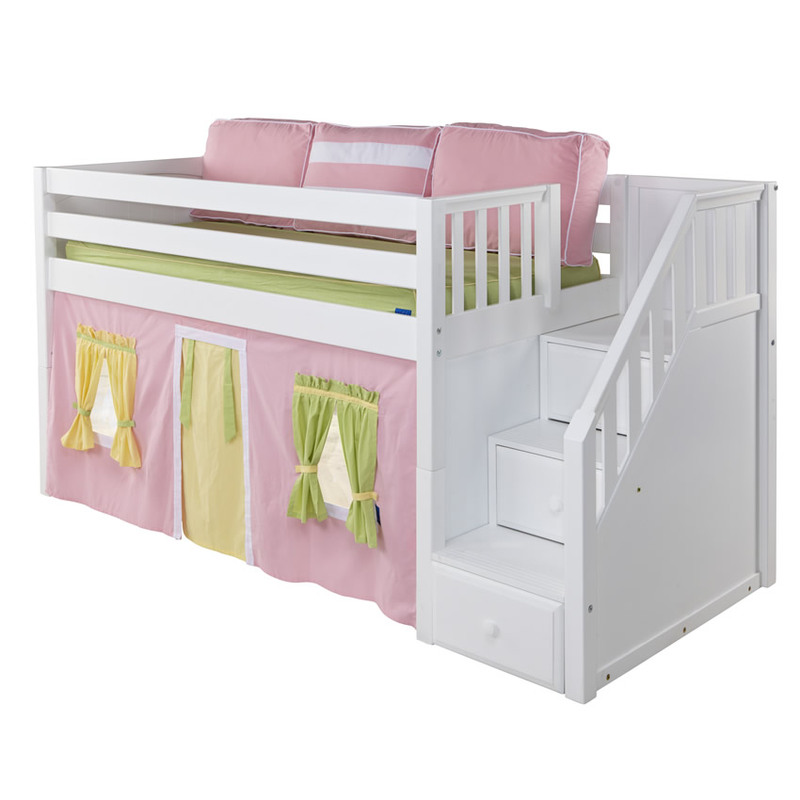 With a castle-designed tarp, the loft bed transforms into a beautiful place for any princess. For any one who likes to pretend to be a firefighter, this loft bed is for them. Transforming their bed into a fire house, they can pretend to put out fires all day long. Any child who would rather play on the computer needs a desk. While in early years, no laptops may exist for their room, as they get older, they will undoubtedly need one. This bed looks like a full fledged barn. 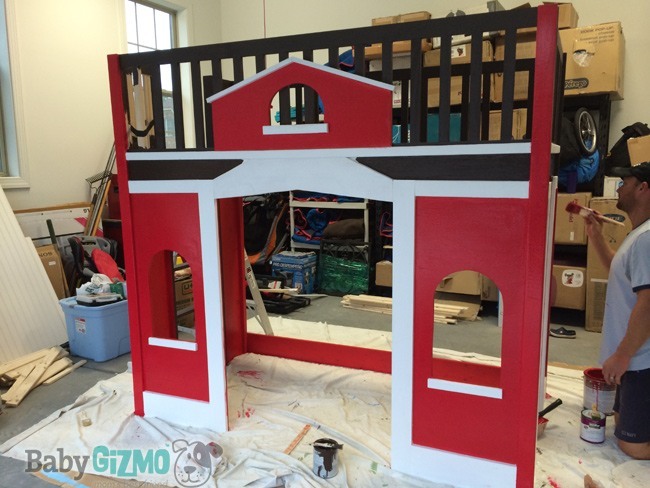 With storage on the side of the stairs and the under side being a completely enclosed barn, anyone with the knack for raising animals or loves to play pretend with their stuffed animals will love this bed. The same design as the Farm Bed, this bed looks like a full blown castle, complete with enclosed “ball room” and windows galore. Any princess looking to enjoy their palace will love this bed. This fort like bed offers anyone the chance to command an army, play hide out, or simply have a quiet, enclosed place to enjoy themselves. The bed atop offers a fun place to sleep anyway. 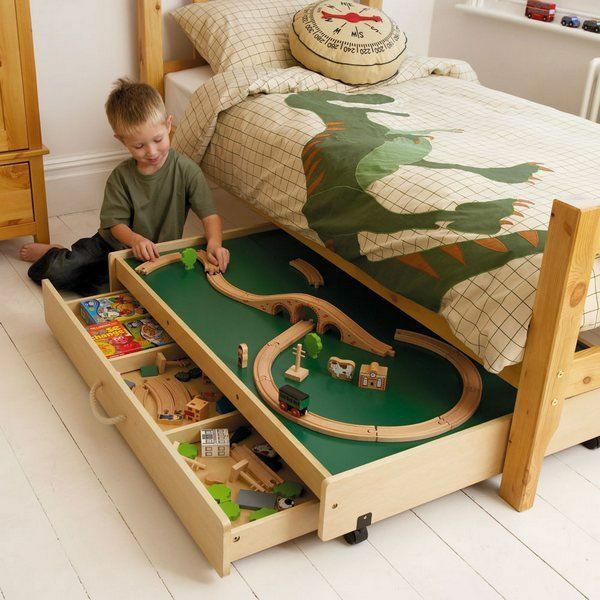 Any child with a train track that takes up so much space should think about using this bed. It has a place under the bed for their track set, and all the pieces! 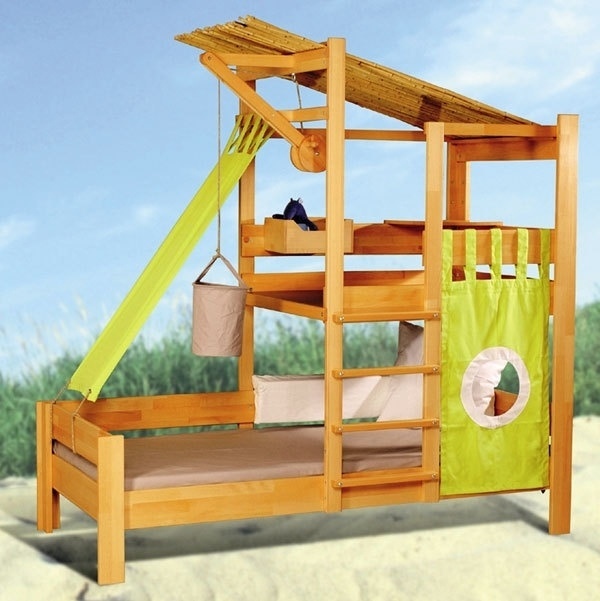 Anyone who loves the outdoors will love this loft bed. Storage above makes it ideal for any accessories needed to watch the stars. When your child loves to pretend to be a pirate, no other bed will do. This bed has the netting, the portholes, the swing, and everything to make your pirate feel as if they are on a ship and not in their bedroom. Any child who plays sports would love to have a bed that functions as a rope ladder, a basketball hoop, and a place to read. There are so many ways this could go. 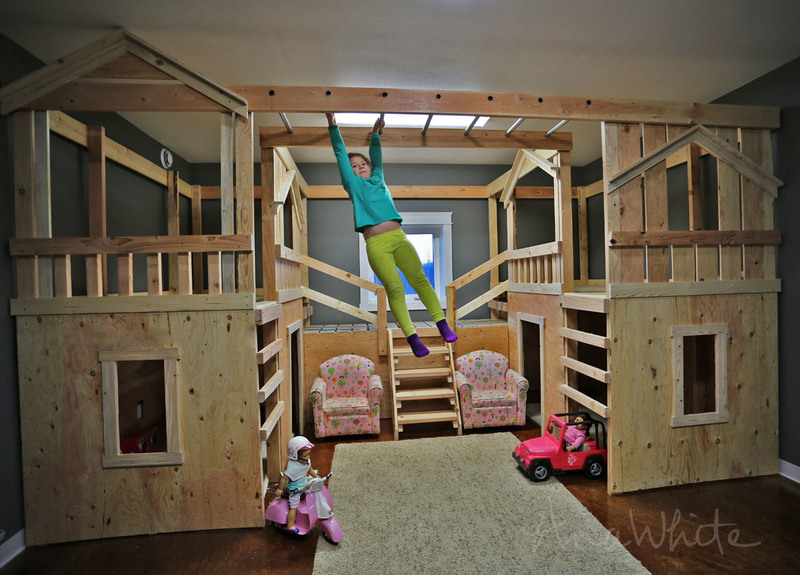 This loft bed has a play house design underneath – great for those rainy days where you can’t go outside and play in the play house or the tree house. Any child who plays house outside whenever they can will love this house. Anyone who loves to play in a tree house will love the ability to bring it indoors – especially if they have spent long summer nights in the tree house with their friends. This loft bed is literally shaped like a tree. Any fan of Disney’s Frozen will enjoy this loft bed. The inside can be Elsa’s ice palace from the movie, and the detailing looks almost identical to the movie. Any fan will enjoy playing in this loft bed. 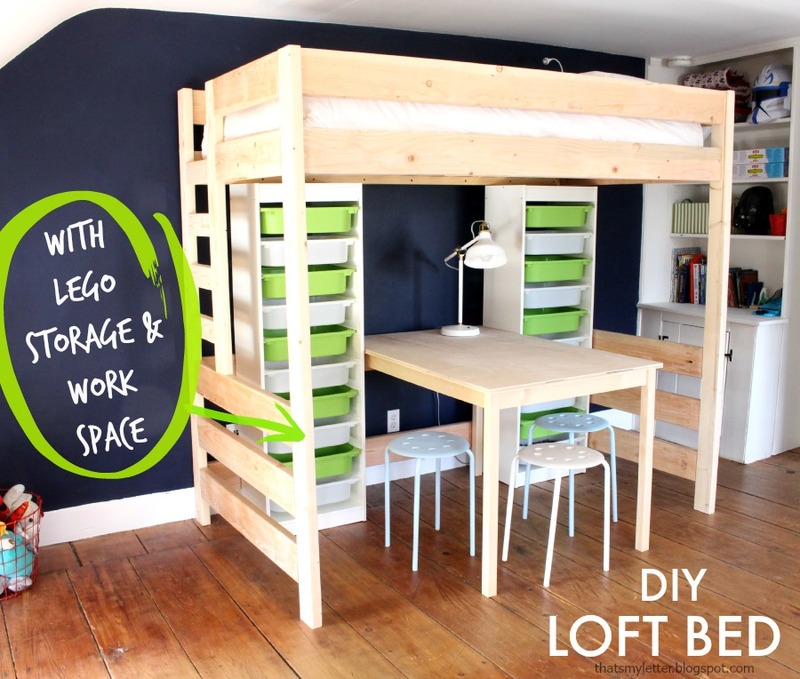 This loft bed has a work space and tons of storage for Lego bricks. Anyone who spends hours playing with these amazing brick toys will enjoy having all their Legos in one place. 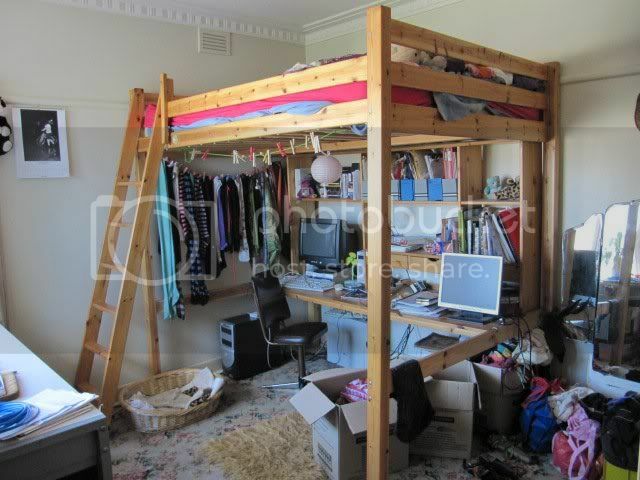 This amazing loft bed has a desk and plenty of storage space. From shelves above and below the desk to drawers on the sides, there is so much room for any artist’s tools – be they colored pencils, water color paints, oil paints, or something else. For any one who loves fashion – be they child, adult, male, or female – this loft bed offers a fun space to display their most amazing fashions on any given day. There’s also a desk to set up new ideas, design new fashions, or simply organize small drawers and boxes. Even jewelry could be designed here. For any one who plays with dolls, a simple loft bed is the best. The space underneath offers them a wonderful place to set up their doll’s room (or a room for multiple dolls and multiple types). Shelving or drawers underneath allow them to store clothes, accessories, or smaller dolls that they wouldn’t want lying around when guests or friends come over for a sleep over.